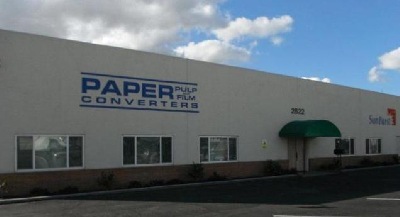 Founded in1986 Paper, Pulp & Film is a family owned and operated paper converting business. Paper, Pulp & Film was born out of the idea that personal service and quality products can go together to provide the paper distributor with a partner in their growth. We work together with our customers to find win/win opportunities and to provide the paper distributor with a better product for their customers. We also offer a variety of choices in levels of quality for the price-conscious customers. Paper, Pulp & Film is housed in over 115,000 sq. ft. on 7 acres in Fresno, California with a BNSF (Burlington Northern Santa Fe) railroad siding and 14 truck doors. With our excellent central California location we can ship overnight to all of California and offer 2-day service to Arizona, Washington, Nevada, New Mexico and west Texas. We also have one of the better labor markets in the United States, with many of our employees working with us for over ten years. We have a variety of precision equipment for converting our vast line of paper products. We can run rolls from 2" wide to 90" with 60" diameter rewind and 84" diameter unwind. We can sheet 1/2" x 96" and 60" x 144". With our edgeboard machine line and 2000+ feet-a-minute counter roll machine we can offer quick lead times. We offer an array of paper grades for all of your industrial, printing and agriculture needs. We have hundreds of stocking sizes in a variety of grades and we can custom convert to meet your needs. We take quality very seriously in every phase of our operation. That carries over into how we package our products. All of our industrial and food service counter rolls are poly-wrapped and identified with an easy-to-read laser printed label that states the size, basis weight and footage. All stock chipboard bundles are clearly marked with size, caliper and sheet count. All pallets are stretch-wrapped and a printed label is placed in clear view with a description of the product. We also offer private label for stocking programs.